Dave Sim · Heads Up! IDW is pleased to announce it has reached an agreement with Aardvark-Vanaheim Inc. to publish a book of the 300 CEREBUS covers in 2013, IDW CEO and Publisher Ted Adams announced today as Scott Dunbier, IDW’s award-winning Special Projects Editor arrived in Kitchener, Ontario to begin the daunting process of scanning all of the CEREBUS covers — and cover related material — at the “Off-White House”. 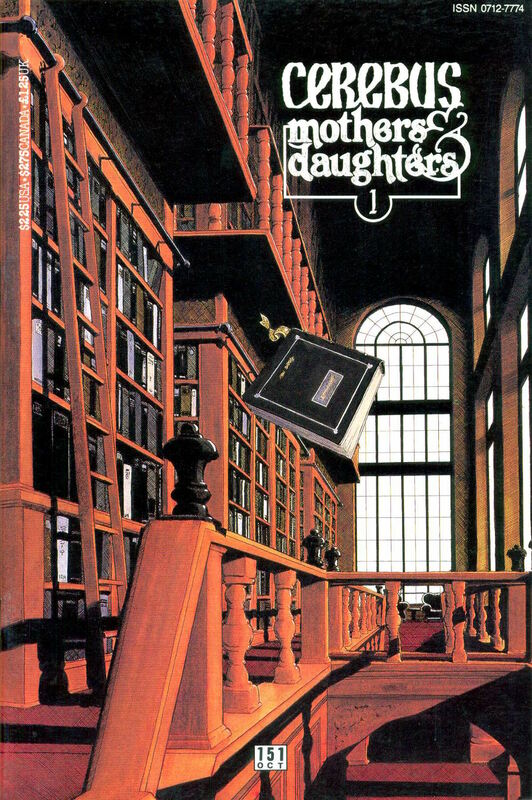 “With the long-anticipated launch of Dave Sim’s HIGH SOCIETY DIGITAL and HIGH SOCIETY AUDIO DIGITAL only days away, and as a long-time fan of Dave’s work, I couldn’t be happier to have IDW here in the Ground Zero spotlight with Dave and CEREBUS in announcing this major publication event which fans have been clamouring for since CEREBUS came to an end in 2004,” said Adams. So start saving your allowance, kids! Pace Dave Sim, IDW doesn’t have a “flawless” track record with books like this — the publisher should be embarrassed, for instance, by the heavily damaged magazine and book covers that whoever-it-was scanned for Jeffrey Jones: A Life in Art as well as by the overall sub-standard reproduction in what ought to have been a collection of Jones artwork for the ages — but more often than not, they get it right. 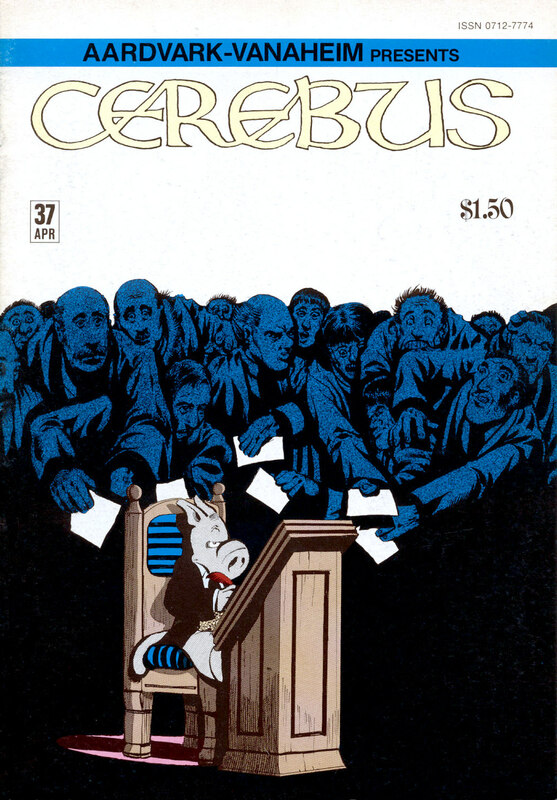 CerebusDownloads.com officially opens for business on 10 October 2012, but right now you can download a five-minute preview of “High Society – Special Audio/Visual Digital Edition” in which Sim himself reads all of the captions, dialogue, thought balloons, etc., “in character,” over a pan-and-zoom presentation of the comic that includes background music and ambient noise.